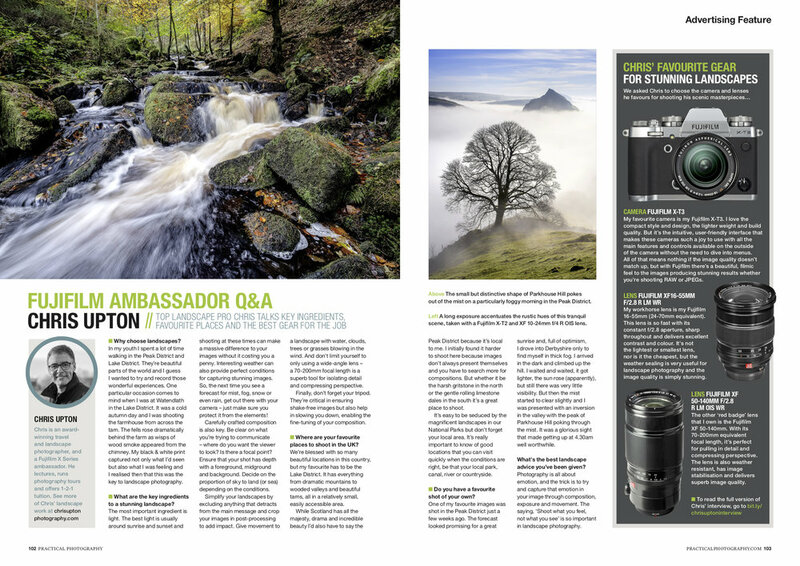 Hot on the heels of helping to judge Practical Photography magazines Photographer of The Year 2018 competition, where the standard was awesome, I was delighted to be featured in this months edition in their Q&A Feature. It’s a great magazine with some excellent contributors and packed full of hints, tips and inspiring images. Here is the feature but I suggest you go and buy a copy to see all the other great stuff in there! I am delighted to have been invited to by Fujifilm to speak at TPS. 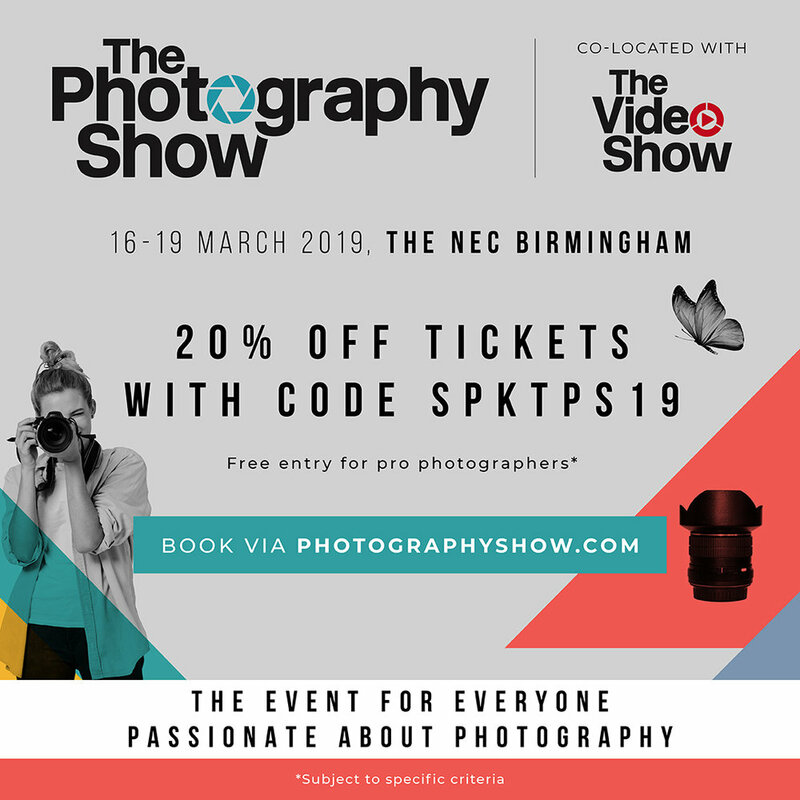 The show runs from 16th - 19th March at the NEC, Birmingham and I will be speaking twice on Saturday 16th. I'll be on the Great Outdoors Stage at 10.30am with a Landscape presentation entitled “The Way I See It” and the Fujifilm stand at 3.50pm talking about why the Fujifilm XT3 is my camera of choice and showing a selection of my Travel & Landscape images shot entirely with this camera. Come along and say hi, it would be great to meet you! Today Fujifilm has launched the new XT3. I had the privilege of testing this camera prior to launch, here is a video of me using it which was shot in the Peak District, UK. I am delighted to have been invited to by Fujifilm to speak at TPS. The show runs from 17th - 20th March at the NEC and I will be speaking twice on Sunday 18th. I'll be on the Fujifilm stand at 1.00pm talking about my Fujifilm journey and showing a selection of my Travel & Landscape images and on the Great Outdoors stage at 3.00pm where I'll be discussing finding Beauty in Nature with a mostly Landscape talk. They say you should support your football club through thick and thin, however the truth is that over the past few years at Meadow Lane it’s been more a case of thin and thinner! My first game watching the Pies was in 1970 and, I’m proud to say, they have been my team ever since. Like many I still recall the halcyon days of top flight football and promotion play-off victories at Wembley and yearn for those times to return. So, perhaps with more hope than expectation, I was delighted when Notts agreed to my request to document the season through a photographic project. My plan was to record more about the club and its supporters rather than football action shots and I was full of anticipation thinking that this was going to be the season when our fortunes changed. Well they certainly did that, but not quite in the way I and thousands of others had hoped. Here are a small selection of images which tell a story. We are fortunate that we have an excellent stadium fit for a return to the Championship and there are many people involved, behind the scenes, who keep it that way. We have some great supporters who have seen their hopes and dreams dashed on far too many occasions. However what must be pleasing for the club is that when there is a positive attitude and people are pulling in the same direction the supporters will and do respond and hopes of achieving much bigger gates on a regular basis is once more a real possibility. There are some fans who simply stand out for their unwavering loyalty over many years and it’s been a real pleasure to meet and photograph some of them. This lady is Sue Pullen, photographed at Mansfield – this was before the game ! The torrential rain that waterlogged the pitch in about ten minutes at the Morecambe match in October causing the abandonment of the game should perhaps have been seen as an omen of things to come. The football was that poor that the Daily Mail proved to be more interesting than the game to this gentleman. I like humour in pictures and believe me there was much of that through the season even if some of it was on the dark side! The supporters frustrations were showing and over the season I have found a few that, let’s say, wear their hearts on their sleeves! They are pretty good subjects and their passion just bursts out. A project on Notts County would not be complete without an image of the statue to legendary manager Jimmy Sirrel and his assistant Jack Wheeler. What on earth would they have said about the past few seasons. This shot was taken in the autumn when the fiery orange leaves reflected what I thought Jimmy’s mood might have been, I couldn’t find any blue for his language! There were a few false dawns with hope that our poor run might in fact end and that perhaps made those few golden moments even more worthy of celebration but alas it was not to be and a dismal run of 10 straight defeats ensued. BBC Radio Nottingham correspondent Colin Slater is simply Mr Notts County. Like many I have grown up hearing Colin’s distinctive tones commenting on the games, quizzing managers and giving his views on the many highs, lows and Machiavellian twists and turns that have beset the club over the years. He is an institution, he was instrumental in saving the club from extinction and for this and everything else he has done for Notts Colin occupies a special place in the history of the club and hearts of the fans. At age 83 and having commentated on over 2500 Notts matches starting almost 50 years ago Colin has decided to hang up his microphone. Although he will continue as a Notts correspondent for the BBC this season marks the end of an era. We wish Colin well in his semi-retirement. When we were at arguably our lowest ebb we all hoped and prayed for some divine intervention. Apparently, that nearly came in the form of Danish, American or Chinese backing ……… or was that simply a dream? We needed the dynamic duo and boy did we get one! Alan Hardy’s business acumen not only enabled him to buy the club but has also brought the dynamic leadership that was so sadly lacking. After recent dismal managerial appointments to say Alan’s choice of manager was critical was an understatement and it had to be right, no room for error. Kevin Nolan’s turnaround of the performances on the pitch has been nothing short of sensational. So, for nothing less than saving us from losing our famous and proud status as the world’s oldest football league club and very possibly saving us from extinction this is the most significant picture from the season. You only have to see the changing room set out before a match to see the impact of the new manager, one who the players look up to and have responded positively to. The professional approach and not least the many motivational posters around the changing room tell you a lot about Kevin Nolan. The supporters have responded positively to the turnaround and it’s been a delight to see Meadow Lane buzzing again with fans full of expectation. It’s been a roller coaster of a season, well it’s Notts County, but things seem to be on a far better platform now and whilst we shouldn’t get carried away we are I think justified in hoping for a much brighter future. Thanks to all who have been willing subjects, it’s been a pleasure to meet you and include you in the project. See you next season!